Aiming to highlight the importance of boosting employer branding through design and insights, Anchovy has partnered up with Eden Cinemas and Times of Malta to host their first ever employer branding workshop. Clockwise from left: Roderick Spiteri Schillig, Ray Demicoli, Simon de Cesare and Johann Grech. Attendees will kickstart their day with a power breakfast before moving on to a presentation offering a snapshot of the state of employer branding here on our island. 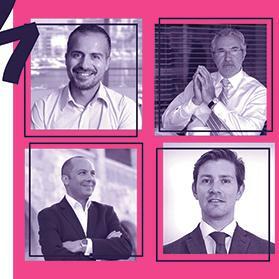 All present will then have the chance to participate in a panel discussion with distinguished members in the field, composed of Ray Demicoli, principal of DeMicoli & Associates, Johann Grech, film commissioner at the Malta Film Commission, Roderick Spiteri Schillig, head of employer branding at Betsson Group and Simon de Cesare, chief executive officer at Eden Leisure Group. The workshop will be held on November 16 from 8.30am to 11am at Eden Cinemas. Visit https://boostyouremployerbranding.splashthat.com to apply for your pass.